Acupuncture is a modality that has been developed over thousands of years and is used by millions of people worldwide. Acupuncture uses a holistic approach and each individually tailored treatment usually consists of the shallow insertion of very fine, high grade disposable needles as well as heat therapy and massage. 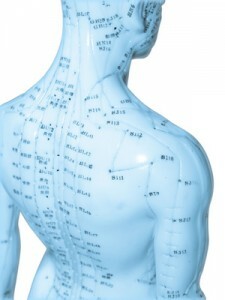 Acupuncture can be applied to a wide range of health concerns by addressing your individual issues in a holistic way. Your symptoms are seen to be a result of imbalances in the functioning of your body’s systems and acupuncture is a drug free treatment that resolves these imbalances. After a comprehensive consultation to determine your diagnosis, we will explain to you how acupuncture can work to help you. You will not feel any discomfort. We specialise in gentle Japanese treatment techniques. Your treatment will begin with a comprehensive consultation that will go over your current complaints as well as your medical history. Once a diagnosis is made, the acupuncture treatment is applied. This entails lying on a very comfortable massage table and relaxing! The treatment itself is not painful and all you are required to do is relax to enable the treatment to take effect. Depending on your complaint, we may also use a very soothing heat therapy as well as massage to compliment your treatment. Will I Feel Different After My First Treatment? You can be assured that most people feel a level of relief after their very first treatment and that having acupuncture is a very relaxing and enjoyable experience. How Often Would I Need Treatments? This depends on your condition but treatments are usually once per week until the issue is resolved. Many conditions are resolved within 4 treatments, though if it is an acute condition or injury then only one or two treatments may be required. You can expect to experience improvement after each treatment. Acupuncture treatments are for one hour and cost $107, an initial consultation is $130 and Audrey is registered with all the major health funds if you are entitled to a rebate. If you require IVF pre and/or post transfer treatments then each treatment $70 and both these treatments should be booked for the transfer day, these treatments are ½hr in duration. Paediatric appointments are $85 for an initial treatment (1hr) and $70 for a follow up (½hr – 1hr). Audrey is registered with all the major health funds and most extras cover includes rebates for acupuncture. If you are unsure, please check your policy. What if I have a specific condition? If you wish to enquire about a specific condition and whether acupuncture can help you, please go to our ‘Contact Us’ page and send us an enquiry and we will respond promptly.